“Mongolia’s pitch to become the new frontier for metals and mining is facing renewed scrutiny from investors around the world as a Mongolian coal miner completes a landmark listing in Hong Kong. Mongolian Mining Corp (MMC) is set to raise at least $650m after pricing its shares on Tuesday in Hong Kong in the middle of a target range set by advisers JPMorgan and Citi. MMC holds the license to part of the enormous Tavan Tolgoi coal field. The government says this field is perfectly suited to export coal to the Chinese market. The government is planning to sell 50% of the ownership of the deposit to investors. 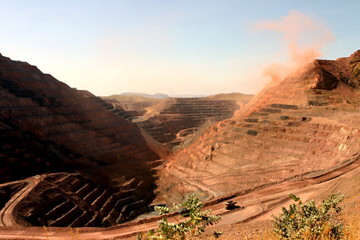 Tavan Tolgoi is located in the south of Mongolia, in the same area as Oyu Tolgoi, a copper deposit partly owned by Rio Tinto via Ivanhoe Mines. In order for foreign investors to invest in the coking coal deposit, the government will need to invest heavily in infrastructure. Both transportation to the mine (and from the mine to China) and availability of water in the region are concerns the government will have to answer to. Cooperation between the develop of Tavan Tolgoi and Oyu Tolgoi by extending the required 290km railway connecting Oyu Tolgoi to the Chinese rail network to the Tavan mine appears to be inevitable.